Michael Vick was Wrongly Convicted! A must read, with the truth about M. Vick!! Click to watch on YouTube! Love you Patrick! Starved to the point where he had no readable temperature, then thrown down a garbage chute like yesterday’s trash, this was the life of Patrick. 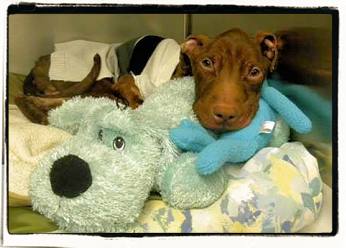 He is an approximately one year old Pit/Mix who was brutally mistreated by his owner. This show is to spread the word about animal abuse and how, we as humans, can help! **Graphic content warning due to the severity of his torture. Please join us, Thursday March 31st at 11am PST, in The Padded Room! 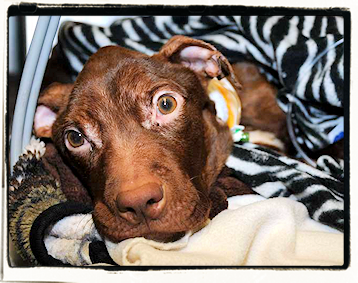 Go to, A Dog Named Patrick , for more of his story and with links on how you can help. Starved to the point where he had no temperature then thrown down a garbage chute like yesterday’s trash, this was the life of Patrick. He is an approximately one year old Pit/Mix who was brutally mistreated by his owner. But this amazing puppy has more spirit than many humans I know and he held on. He made it through the night to March 17, St. Patrick’s Day, and was given the name Patrick. If these eyes could talk, most would probably not be able to listen about the torture he went through. I will fight to help other animals that are abused. Please help end this cruelty. Remember, it starts with animals and moves on to the children. 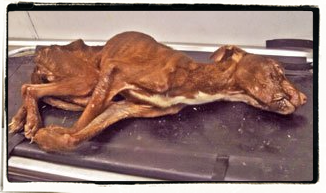 Someone who could do this to a living creature, could do this to anyone. Please take a stand!! Sign the petition and help save other animals and make people pay for their crimes. It only takes a minute. Pictures borrowed from Prayers for Patrick edited by me. 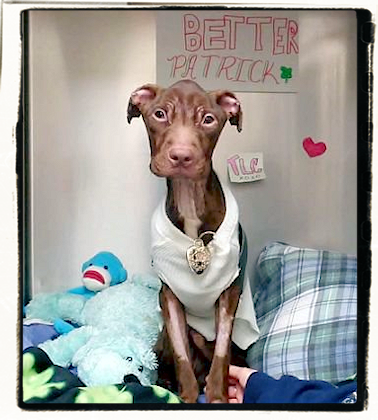 Click to join this wonderful FB site for Patrick! 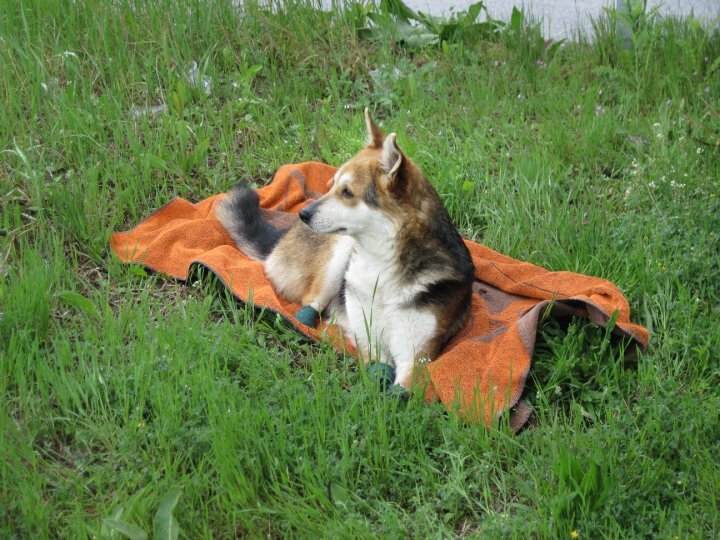 On March 26, 2010, a dog named Mima was found with all her 4 legs brutally chopped off apparently over an old conflict between neighbors. 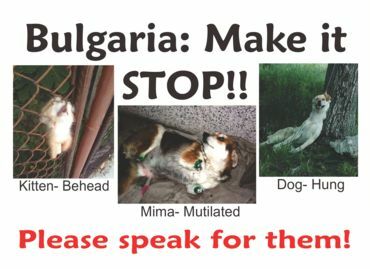 Currently, animal cruelty is not a crime in Bulgaria. Thousands of their citizens protested and a proposal for a new law was sent to their Parliament to vote on. As months progress, the current situation in Bulgaria is getting much worse. 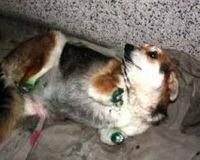 Animals and their advocates are now the target of more abuse from those who are angry of the attention their cause has received since Mima’s story of unimaginable torture came to light. A “journalist” who used his TV show as a platform for hate speech, even had a guest showing techniques on how to poison strays. Some of the recent atrocities in addition to the daily poisoning are as follows: a kitten’s head was decapitated and displayed on a fence for all to see, more dogs being hung from a bridge or a tree, another mutilation case- this time a very young puppy, an 80 year old woman who was caring for stray cats was assaulted by her neighbors. When animal lovers report these atrocities to the police, they’re either apathetic or are laughed at. Please help stop this madness and sign the petition. It only takes a minute! She was tortured and mutilated by a sadistic monster who hacked each one of her limbs off… not just once but for days and weeks at a time!! Only a monster is capable of such heinous act!! Currently, there are no laws against Animal Cruelty in Bulgaria. Thanks to all who donated to our ChipIn campaign, funds were transferred to Mima’s account to help pay for her medical treatment and get her mobile again. Please show your support by joining our group. 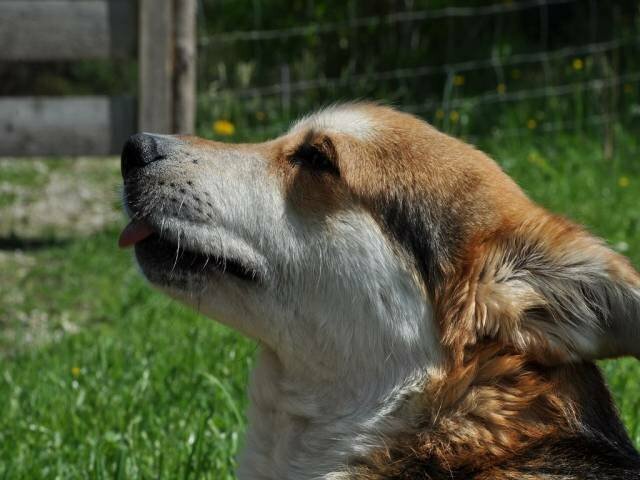 Demand justice for Mima and all other defenseless animals abused and tortured in Bulgaria. JOIN JUSTICE FOR MIMA GROUP- INTERNATIONAL PROTEST!